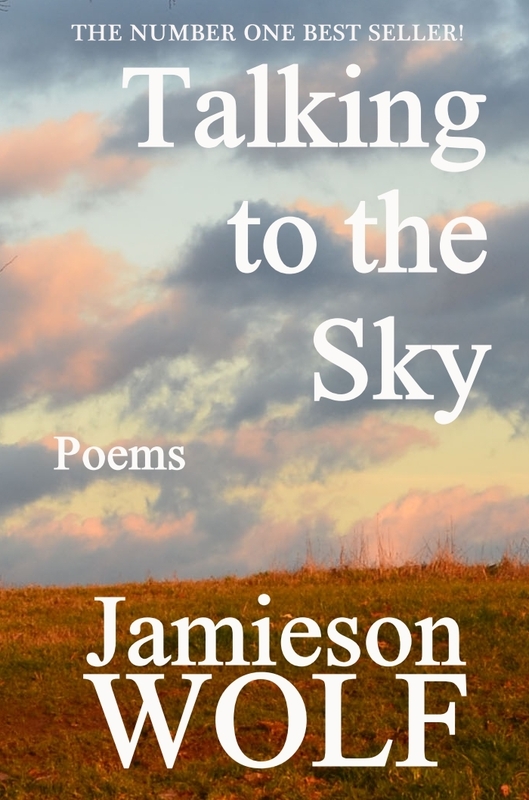 Talking to the Sky Receives Two Glowing Reviews! With his unique style and powerful imagery, Jamieson Wolf lures us into this beautiful volume of poetry. Colours splash across the page, emotions are captured in a single word or phrase. We ride the city bus and see a woman’s tears, feel the touch of a caring hand, experience the joy in a child’s smile. We walk a city street, hushed with snow. Friends and lovers meet with a warm breath on the cheek, a kiss, a sad goodbye. We witness courage, personal growth, moments of humor, strength, snatches of a dream. Each poem is a stolen moment in time, raw, vivid, and intimate. Touching the Sky is an uplifting affirmation of life not soon forgotten. I have had the pleasure of reading this collection a few times and will many more I am sure. Jamieson’s words provokes the entire spectrum of emotions in his words, allowing feelings to surface in the reader easily. There is an almost haunting permanence in the stories he weaves, one that has taken me to my own experiences that I thought were long lost. This poet is magical. His words are powerful and loving. A very very good read!! I am humbled and honoured that everyone is enjoying Talking to the Sky so much! I’m over the moon and over joyed. If you read Talking to the Sky, I hope you enjoy it as much as I did writing it.